My friend, The Chirpiest Music Lover, is shortly joining Level 3 (referring to her age rather than a computer game)… at last! Being the generous soul that she is and having clearly considered her friends vitamin D / R&R needs, she moved herself, her lovely boyfriend and her two pooches off to Spain last year in preparation … so we could all celebrate the momentous occasion allá (?!). Even more considerate again, she ensured that her birthday coincided with Carnival 2012 … joy! Lets be honest it is literally the only fun that Lent can lay claim to (besides chocolate eggs I guess but even then you’re only really deserving if you’ve avoided merriment for 40 days prior). 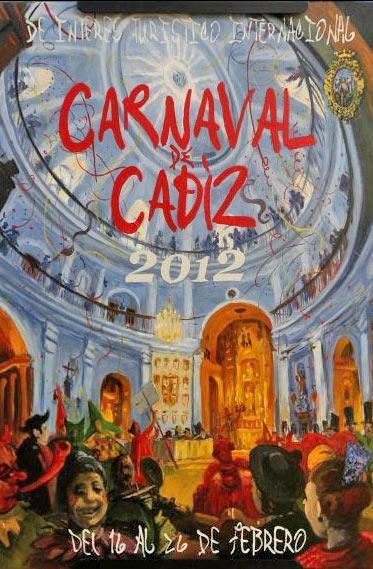 And so, 5 years after I danced the streets of Rio with some of the craziest humans I have ever encountered, reveling in Carnival Brazil-style, I’m dusting off the old camp vigor and am raring to go again … Spanish-style. Now although I can’t actually remember if there was a theme when I was in Rio – i’m sure there was – generally everyone donned something incredibly colourful, rocked that for the entire evening and came back in the wee hours wearing something completely different (but just as colourful). After one of the official parades I manged to return as The Eiffel Tower, I kid you not. It has been a deep regret of mine ever since that my backpack wasn’t 3 times the size in order to house it for my remaining travel days *sigh*. I digress. A couple of weeks back The Chirpiest Music Lover sent what I believe is termed as a ‘group mail’ to those of us attending said birthday festival, announcing: The Theme. Even with lots of further communication since this original mail I am still at a loss as to whether this is the official Carnival Theme or birthday girl’s madey-upy theme. Either way – I LOVE a good theme and I’m raring at the prospect. And my, if you’re going to adopt a theme then lets be honest, Movies of Tim Burton is a jolly good offering. And so I set about a three hour image search online cooing over all the fabulous eclectic options staring back at me. I made absolute final decisions on what I would dress as… changing this decision every 5 minutes. I thought about what might be sweet to go as with Special Gentleman for a double act… turns out ‘Couples Fancy Dress’ is just not his thing at all (a fact that if I was honest with myself I already knew – at our first festival together when I pulled on my years-old green army style jacket not unlike the one he was wearing on his own back, I witnessed his facial expression turn to horror and spent hours running after him as he tried to shake me off) and anyway he is going as a clown because ‘Tim Burton is scared of them’. Hmmm … interesting nugget or convenient ‘fact’ for a man that has a giant clown suit hanging in his wardrobe? 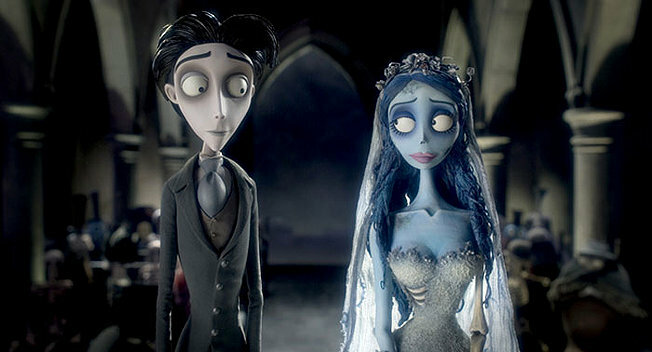 Me and my Special Gentleman as Corpse Bride? So today my ponder is this, with the countdown now rapidly speeding up and my confusion at an all time high, what on earth does a Vintage loving, fancy dress adoring but running out of time-ing party guest wear to a Tim Burton themed Spanish Carnival in celebration of The Chirpiest Music Lovers big birthday? Or shall I choose to be inspired by Alice In Wonderland? 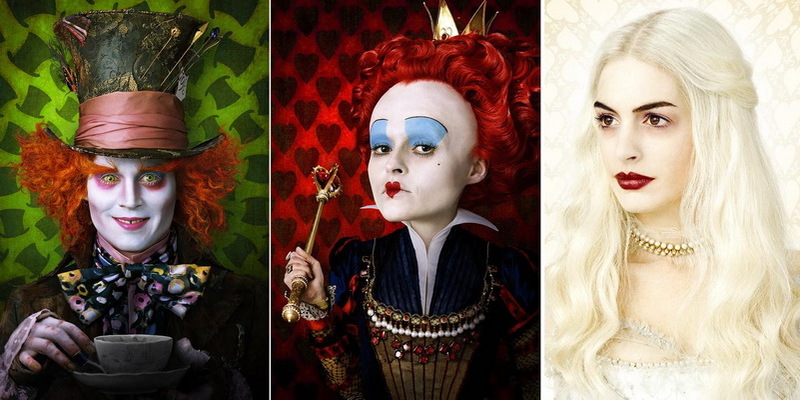 I wouldn’t need a wig for Mad Hatter or Red Queen! Love Red Queen the most I think but I like the idea of having ice-blond hair for the weekend so perhaps the White Queen? I’ve sort of always wanted to be Violet Beauregarde for a day … all that bubble blowing and inflating. What fun! A tracksuit doesn’t exactly come under the ‘spectacular costume’ category however. All thoughts and suggestions would be greatly appreciated … oh and accompanying ‘how to make’ or ‘exactly where to source’ or ‘I happen to have the ideal costume that would fit you perfectly and I’d love to lend it to you’ extras greatly welcome also!